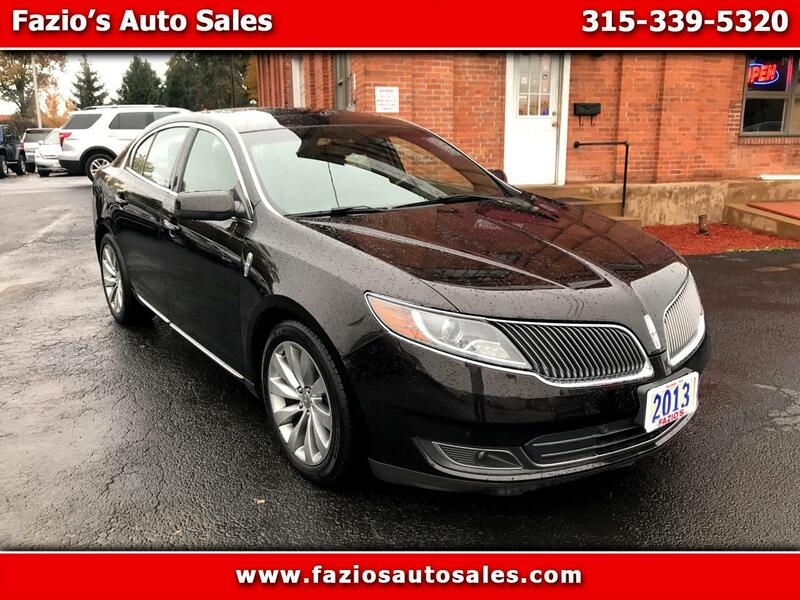 2013 Lincoln MKS Base INCLUDES WARRANTY, 125 POINT INSPECTION, NAVIGATION GPS, HEATED SEATS, LEATHER, REMOTE START, GOOD BRAKES, GOOD TIRES, SATELLITE RADIO, SMARTPHONE INTEGRATION, USB PORT, REAR BACK UP CAMERA. 18/27 City/Highway MPG We stand behind every car. For Used Cars in Rome, NY there's no place like Fazio's Auto Sales where we are committed to standing behind every vehicle we sell. That's fueled our success since 1994 and translates to no-hassle, exceptional service for Pre-owned vehicle inventory selections in CNY. Fazio's Auto Sales' knowledgeable staff will answer your questions, help you find the right vehicle and assist with financing for good credit, bad credit, or no credit with Guaranteed Credit Approval in writing! We buy cars direct and take all types of trades too! Give us a call or come on over today and experience an honest and relaxed way to do business!